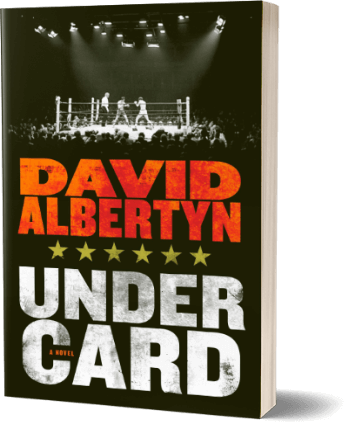 Set over the course of twenty-four exhilarating hours, Undercard is the story of four childhood friends, now in their early thirties, unexpectedly reunited by a high-profile prizefight in a Las Vegas casino . . . and an even higher-profile murder. When Tyron Shaw returns to his hometown of Las Vegas after eleven years in the Marines, he’s surprised to discover that two of his best friends from childhood are all anyone is talking about: Antoine Deco, three years out of prison, hasn’t lost a boxing match since his release, and tonight is fighting in the undercard to the fight of the decade; and Keenan Quinn, a police officer who killed an unarmed teenager and escaped punishment from the courts, is the subject of a protest tomorrow morning. Tyron has trouble reconciling either story with his memory of these men, and the situation escalates when he runs into the love of his life, Naomi Wilks, a retired WNBA player, basketball coach, and estranged wife of Keenan. As Tyron reconnects with his old community, he will learn over the next twenty-four hours that much has changed since he left Las Vegas . . . and there is much more that he never understood. The Reef, an aquarium-themed casino and the hottest resort on the Strip, is the backdrop for this bullet-paced narrative, where loyalty to one’s friends, one’s family, and one’s community are ever at odds, and every choice has deadly repercussions.